or even attached to the dashboard of your vehicle. 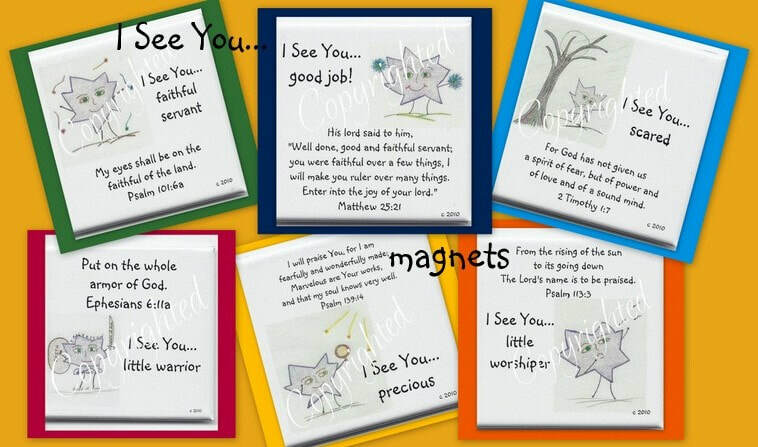 to put one of these little reminders that God Sees You! 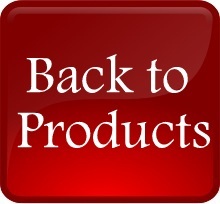 we go - you might even want to buy two and share with a friend! 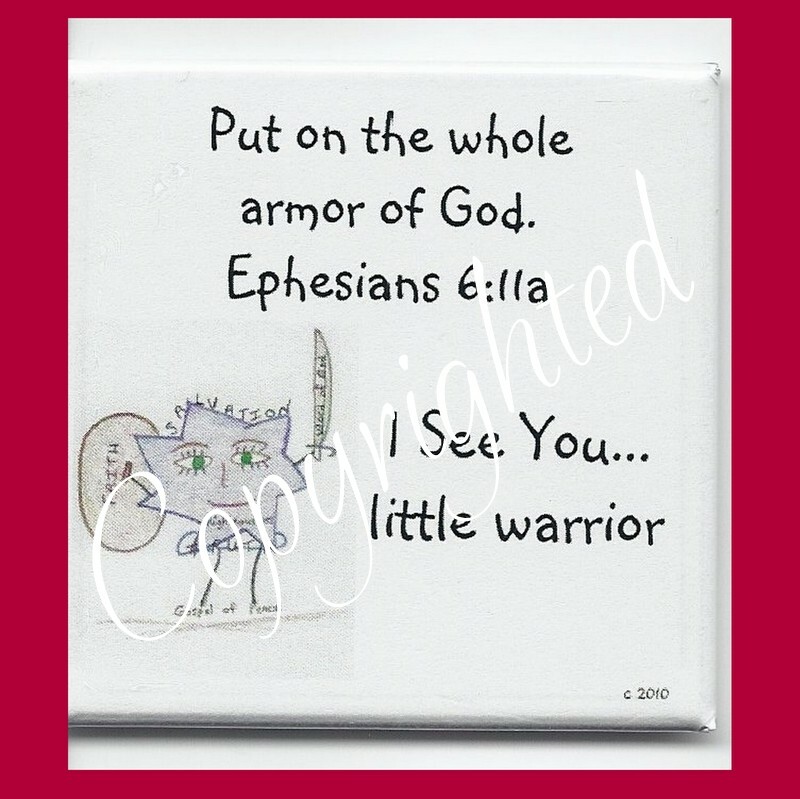 I See You... little warrior will remind you to put on the whole armor of God every day. 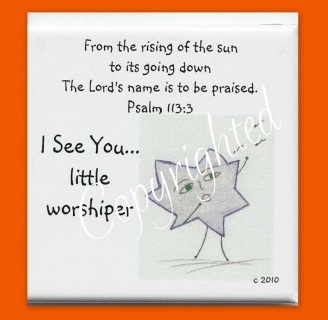 I See You little worshiper will remind you that God is worthy to be praised in every situation. 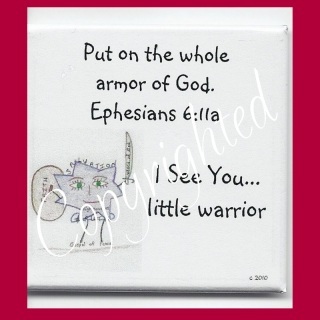 I See You... precious will remind you that you are precious in God's sight - let Him be your mirror. 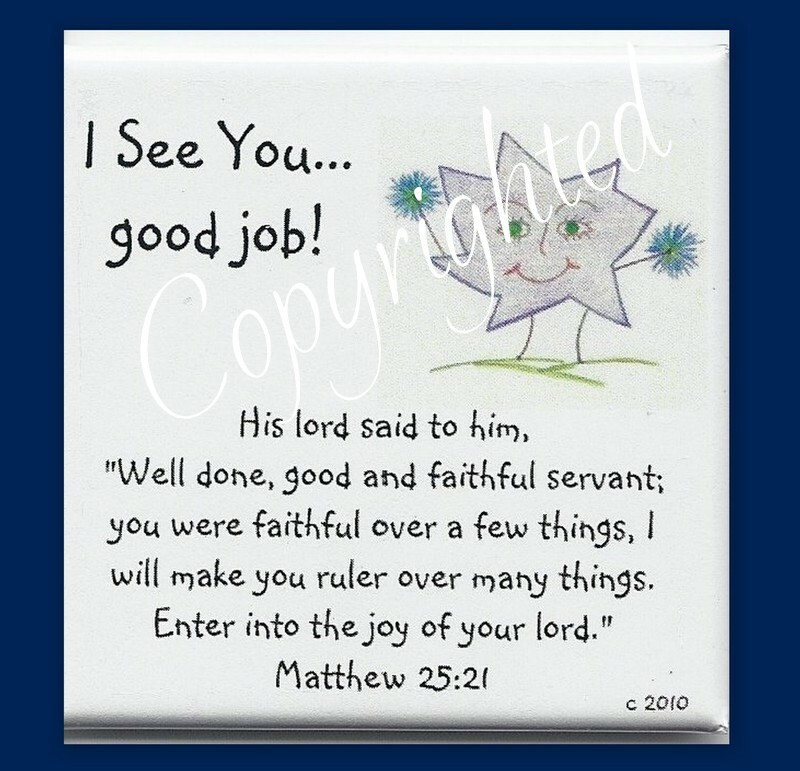 I See You... faithful servant will remind you that God sees you in all you do - even if no one else acknowledges you - God sees you. I See You... scared will remind you that God has not given you a spirit of fear and He will go before you on the unknown path. 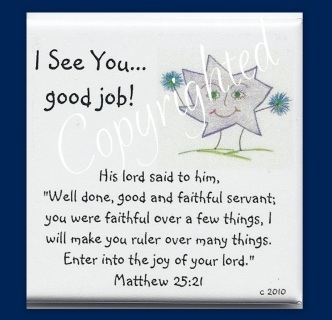 I See You... good job will remind you that when you are faithful over little, God will give you more. 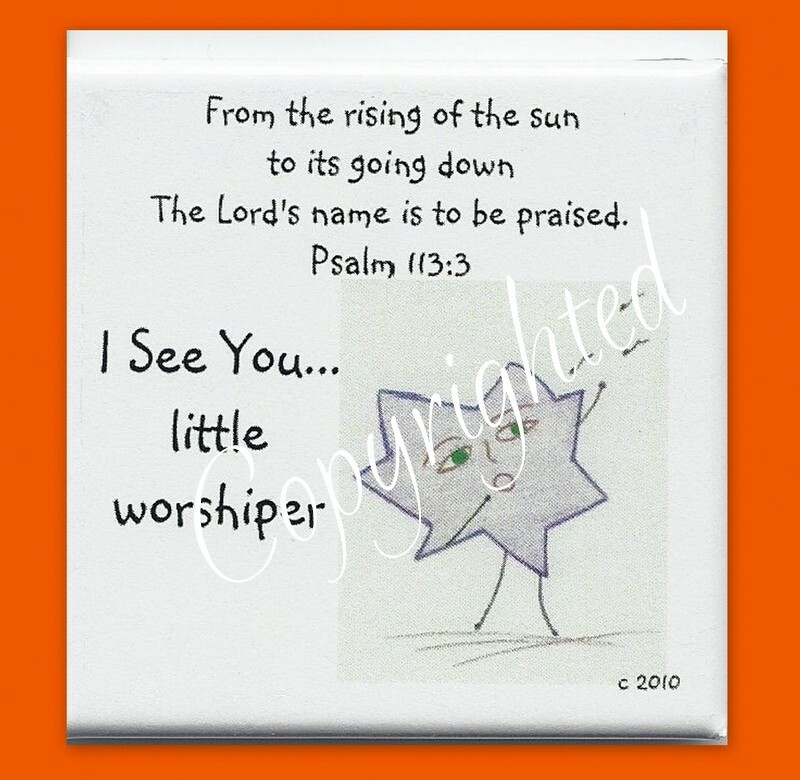 Description: Magnets are 2" x 2" and covered in scratch/UV resistant mylar.